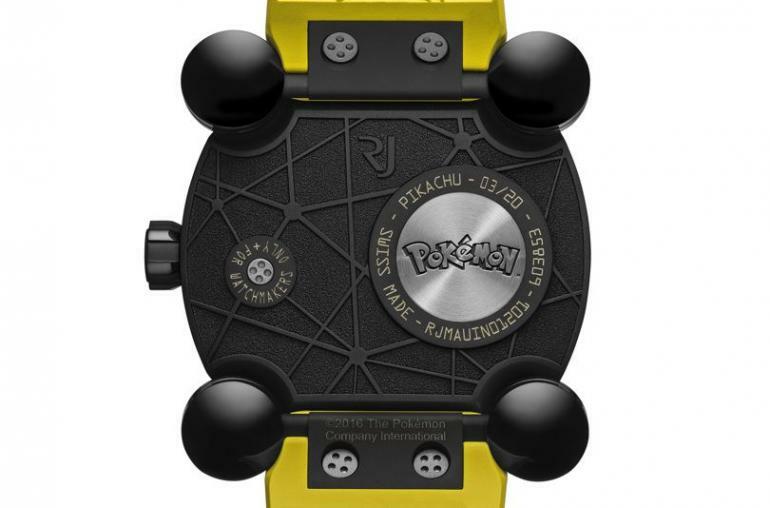 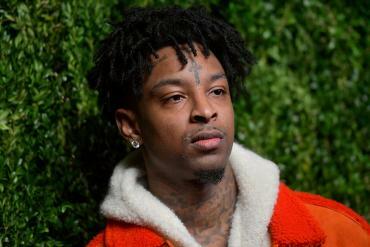 Swiss watchmaker RJ-Romain Jerome and The Pokémon Company International have recently partnered to launch a limited 20-piece edition of a fancy Pikachu watch, costing $20,000 a piece. 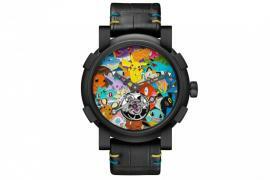 This is an elaborate version of their Moon Invader watch, featuring Pikachu. 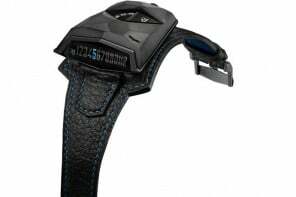 The high-end water resistant watch boasts of a 46 mm Moon Invader titanium case with a yellow vulcanized rubber strap attached to the case with ball and socket joints, permitting better wrist adjustment. 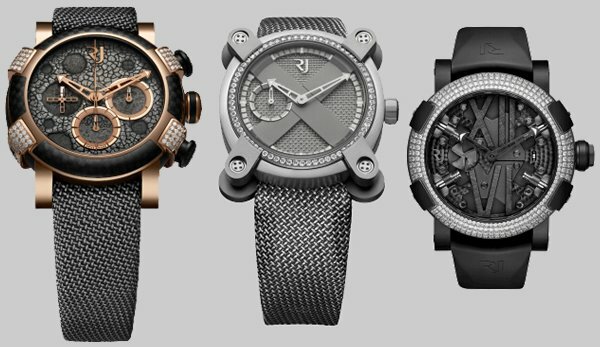 Fabric and leather strap options are available as well. 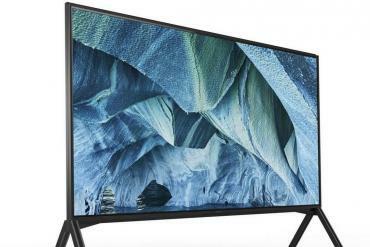 Perched atop a black DLC-coated (Pikachu-stamped) baseplate, there is a large enamel hand-painted Pikachu at the centre, smiling alongside satin-brushed, sand-blasted lightning bolts. 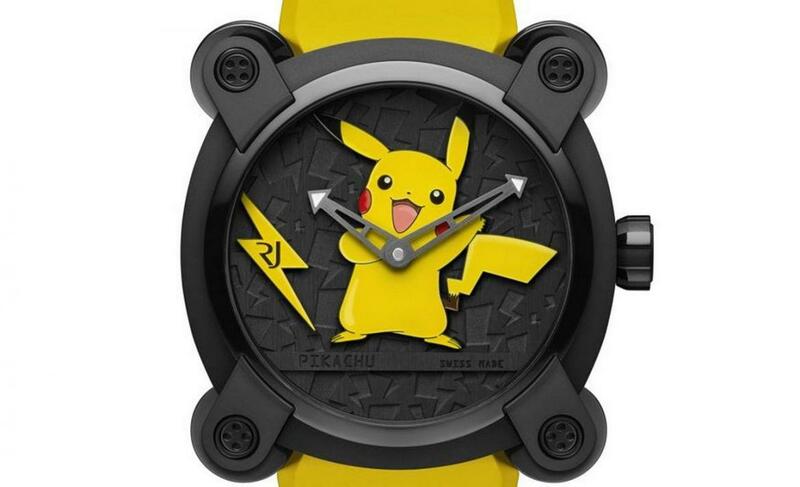 The lightning bolts are hand-painted too in the same signature yellow Pikachu hue, and they’re designed to render a 3D sort of effect. 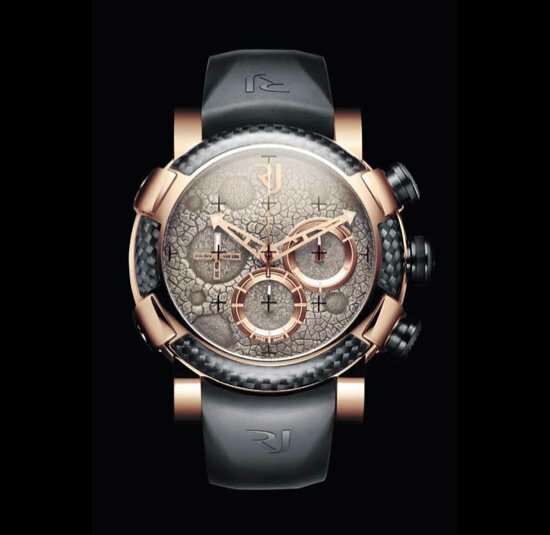 A Caliber RJ001-A with mechanical self-winding movement, a PVD-coated screw-lock crown, 23 jewels, and 42-hour power back up are the other elaborate features of this luxury watch. 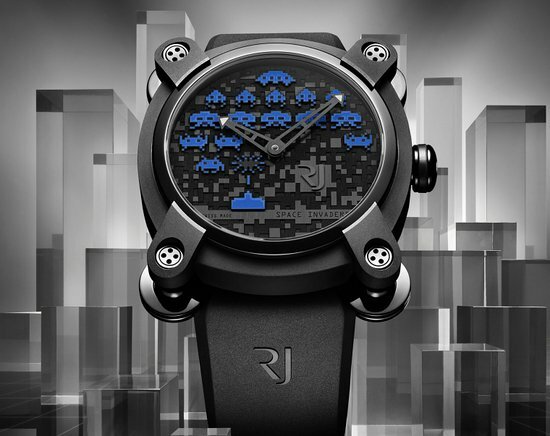 This is not the first time Romain Jerome has linked their luxury watches with fictional game characters. 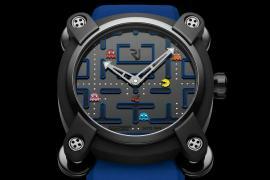 Last November, they released an $18,950 Super Mario watch to mark Nintendo’s 30th anniversary. 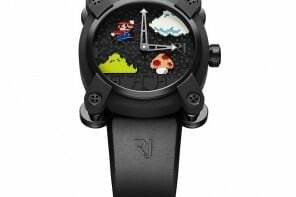 In the limited 85 pieces, you see Super Mario jumping alongside a mushroom in a 46 mm case. 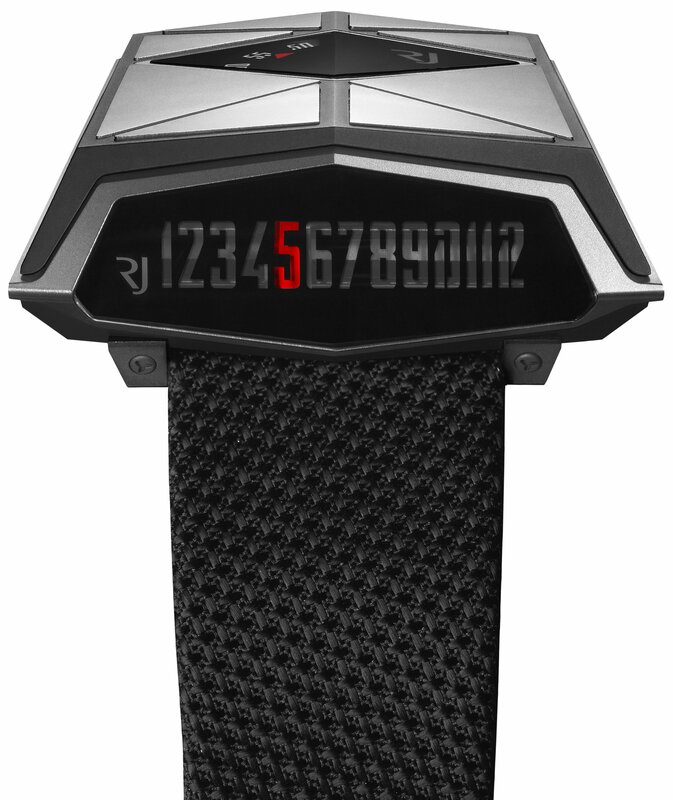 Two months prior to the Super Mario watch release, in September 2015, the Swiss watchmaker came up with a Limited edition Devon ‘Star Wars’ watch, that drew inspiration from Darth Vader and the Tie Fighter. 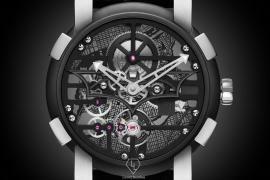 The watch carried a fat price tag of $28,500.